Paraded before Col. Stout for Medical Boarding – do not know what I got – if anything. 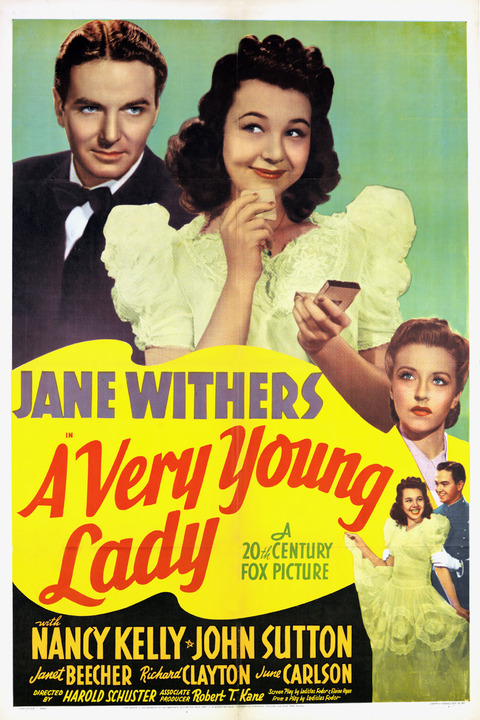 At night “A Very Young Lady” – Jane Withers. On P.T again, feeling very stiff. Had run over assault course – not very hard. In afternoon on tour to Nablus – capital of Samaria – which the last Samaritans only 207 now live. Visited Jacob’s Well which is under care of Greek Orthodox Church. Nearby rests Joseph’s Tomb – His seven ??? founded the tribe of Samaritans. While visiting Samaritan’s Synagogue saw part of a hand written Old Testament done over 2000 years ago. Samaritan themselves seem much similar to a low classed Arab. Rained in morning – did P.T and training in hail(?). Cleared later so took a stroll through orange groves. 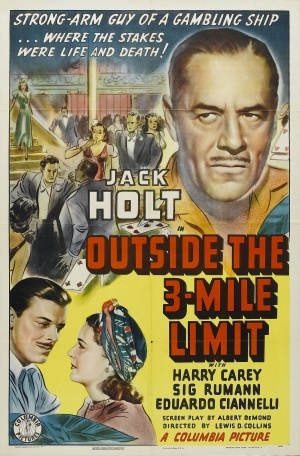 “Outside the Three-Mile Limit (1940)” at night. 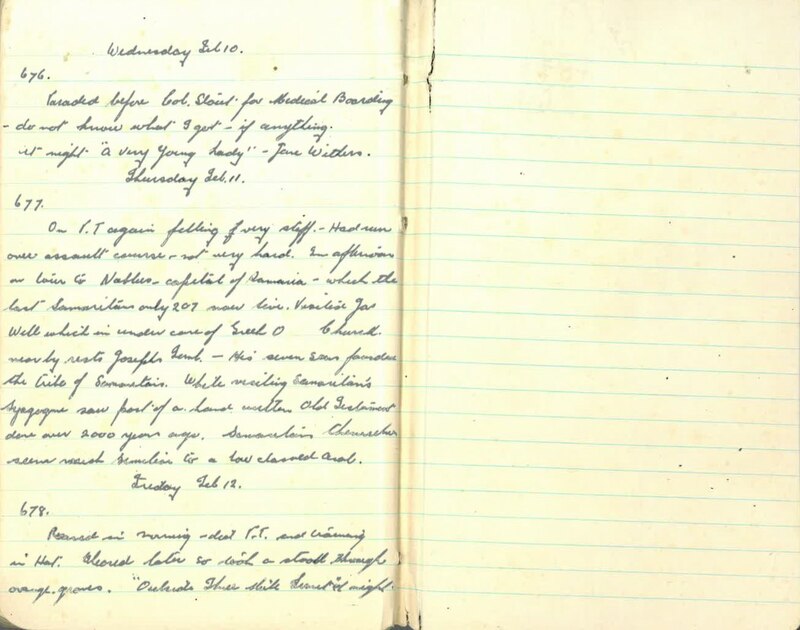 Note – this entry completes the first diary my Grandad wrote of his experiences during World War 2 which is why the page shown at the top of the screen is blank – its the hard back cover of the journal. The Samaritans were founded by the sons of Joseph — http://en.wikipedia.org/wiki/Samaritans. Could the Colonel’s surname be “Stout”? Very definitely Col. Stout – I completed an entry yesterday and it was written more clearly than this entry. Thanks!